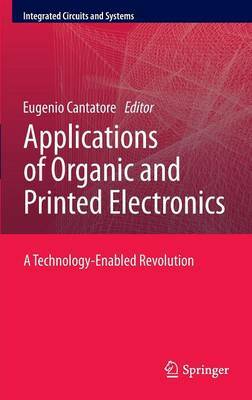 Organic and printed electronics can enable a revolution in the applications of electronics and this book offers readers an overview of the state-of-the-art in this rapidly evolving domain. The potentially low cost, compatibility with flexible substrates and the wealth of devices that characterize organic and printed electronics will make possible applications that go far beyond the well-known displays made with large-area silicon electronics. Since organic electronics are still in their early stage, undergoing transition from lab-scale and prototype activities to production, this book serves as a valuable snapshot of the current landscape of the different devices enabled by this technology, reviewing all applications that are developing and those can be foreseen.